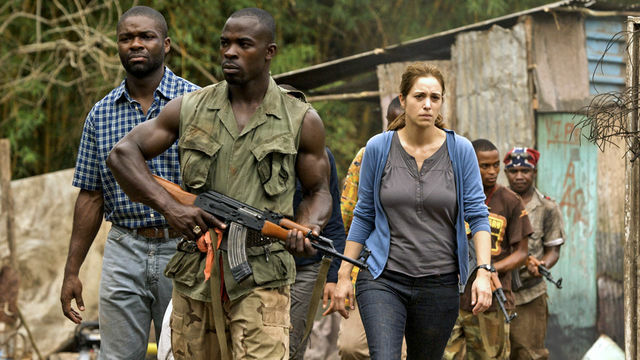 The first part of the excellent two-part drama on the Niger Delta, Blood and Oil, is on BBC 2 tomorrow evening. I blogged about this last month. Cancel your plans and stock up on your cocoa..
like kids to go watch ? Ki lo n dun ninu iya ole? On a related note, isn't this interesting? Wow... Johdie May... haven't seen her since Last of the Mohicans in the early 90s..
How can I watch the series in the US? I hope the movie tells a more nuanced story than the typical "save the white soul from the savage rebels" and "feel remorse at what the savage rebels do to their own people, who persevere with dignity through adversity" storyline in western movies about Africa! Where can one watch in the US? The BBC website does not allow streaming from US IP addresses. A Youtube would be greatly appreciated! I saw the Drama on BBC Website. 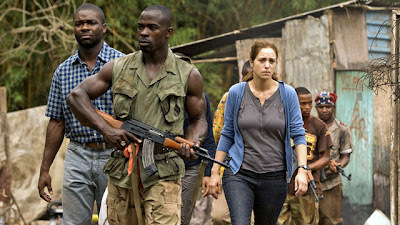 Good story line, but I think it portrayed Nigeria in too negative a light. If Nigeria doesn't want to stop being portrayed in a negative light, then it should stop doing negative things. Are we the only country on the continent? I'll be watching this tonight, i'll been told to prepare my self for blood and gore! LONDON, UK: NIGERIAN POLITICIAN ABDUCTED. A former State Governor from Nigeria has been abducted and is being held at a secret location in London. A group calling itself the African Liberation Movement (ALM) is claiming responsibility.